She was part of one of the best-known Reggae bands of all time, the Wailers led by Aston "Family Man" Barrett. That was back in 2005, when Askala Selassie was only 21 years old and was asked to go on tour with them all around Europe. 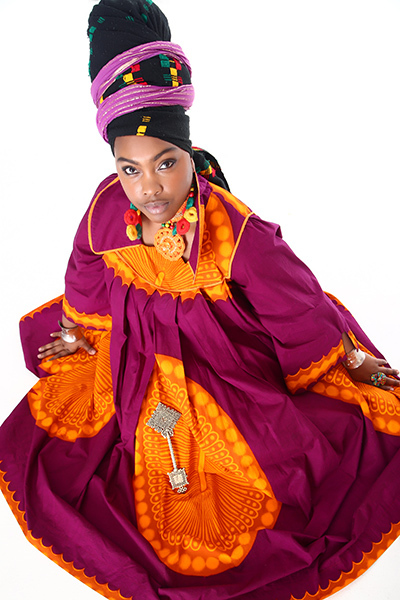 This key experience, her unmistakable singing talent, and the support of a strong network that she had built in the reggae world, led to the result that she has a flourishing solo career today and has just released her very first full-length album titled Warrior Empress. 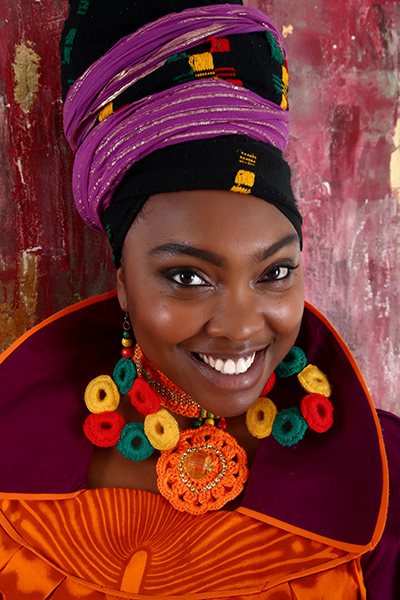 While talking to Askala Selassie in the context of this interview, we found that it must also be her natural positive energy and kindness that people appreciate when working with her. What does it feel like to be so close to the release date of your debut album,Warrior Empress? I’m soo excited, we’ve been working sooo hard for a long time to get to this point. Now we’re here, I’m feeling strong and empowered by going forward, its Jah works that we are doing ultimately. I’m feeling very blessed. How did the idea of making an album come about? Well, initially I met Dillie Stingray, who produced the album. We were just going to the studio for some voicings at first, but then the vibes were so nice that we decided that we were going to have a project and work on a collaboration of music, but we never necessarily had a title for it yet. At first it was just called the mixtape or the EP, but then we decided that we had enough good material that we can use to put an album together. For me, it’s a real blessing. The list of international collaborations for the production of this album is long: Altafaan Records for the single Warrior Empress, Green Light Soundsystem for My Life, Big Neck Production for This Love, Bizzarri Records for Love You Always. How did all these collaborations come into existence? We wanted the album to be a variation of different styles. I love dub, I’m like a dub baby and I’ve been working with a lot of soundsystems. So I had to give a salute to all the people who listen to my releases with King Shiloh, Salute and Faithful & True. The people really loved it, so I had to make sure that the album appealed to everyone, or as many people as possible with many different styles. There are also the dub versions of some of the songs because the sound men want the dub versions. But then there is also the song with Bizzarri, Love You Always, it’s more a pop song. That would be the only song of the EP that made it to the album. And then we worked with Altafan in Jamaica. The fact that the song Warrior Empress was recorded with the musician group at Tuff Gong studio is one of many memorable stories behind the Warrior Empress album. I met Karl Neck from Big Neck Production a long time ago when I was touring with the Wailers and he was the engineer for the Wailers. He produced the track Love You Always. You are well respected for your versatility in both singing and music styles. Warrior Empress is a set of songs presenting different types of Reggae such as one drop, dub, lovers’ rock and even dancehall. What do all those reggae styles mean to you? Do you have a favorite? They are all different and I love them for different reasons. When you’re in the dancehall, it’s nice that you can vibe up with other MC’s. Like for example in 2014 we were at Rototom Sunsplash at the soundsystem area with many of the biggest artists of today like for example Kabaka Pyramid and many more and we were all vibesing and passing the mic around and that’s nice because it is just freestyle. It’s coming more from your heart. Sometimes you can just sing something and you create a song because it comes just from your heart. When you’re in a soundsystem it’s less of a performance, but I also love to perform. When you are on a stage, that’s when I perform songs like Warrior Empress or Love You Always. I love them all for different reasons. When I was younger, a lot of people used to say: “You can’t mix it. It’s not gonna work” And I said: “Why, why are you in a box?” Don’t put yourself in a box, just be free. As an artist, don’t limit your creativity, be yourself! This is who I am, this is where my heart is. Sometimes I wake up in a dub mood and sometimes I wake up in a loving mood. Ras Charmer and Ginjah are featured on your album, how did these collaborations come up? Ras Charmer is my bredrin for a long time but he never used to live in England, he is Jamaican and once he was in England I was like:“Yo, we have to make sure we have a tune on my album. It was mad!” The single Rise Up is a song telling: "Rise up everybody, stop being so downpressed and depressed. Rise up! Be joyful and move forward! Not every day is the same, but there is a light at the end of the tunnel." And with Ginjah, the song This Love was put together by Karl from Big Neck Production. We had this song for a long long time. I recorded those vocals when I was about twenty years old after the first time I toured with the Wailers. I decided to go to Jamaica, basically with the money I earned to record a song, that was Faith. At the same time we recorded another song: This Love, but we never used it. So that was a long time ago and it’s my original voice, a special song! Karl collaborated this song with Ginjah, it’s a great combination. Nuff respect to Karl, nuff respect to Ginjah and Ras Charmer! How was the experience of producing this album? Can you tell us a little about the process of making it? From pen to performance? It was a long journey, a long journey (laughs). We wanted to make sure we’ve done it right. Initially at the writing process some of the songs I wrote on my own, some of the songs I wrote with my co-writers which is my king man, my partner, the love of my life - and also with an idren of mine, he has been there from the very beginning when I was 15 and we stayed really close. So we got together to write some songs, get some ideas and then the project grew and grew and grew. I used the Studio One Riddims to get some inspiration and when I came to the studio at Stingray’s singing these songs on the Studio One Riddims we found out that he had the original versions on his own. Then it just came together, the Riddims were produced already and we used them and moved forward. I recorded most of my vocals at Stingray studio. I feel really blessed to be able to work with them, because they work with a lot of big artists. Everything came together real nicely. The mastering was done by Calvin Francis, he does the works for VP and a lot of big artists. It was a long process, but the journey was good. What does the name of the album, Warrior Empress mean to you? The other day I was in the studio with Marcia Griffiths and she said to me the same thing. She said: “This is the time for the women. It’s time for us to rise up.” You could feel the energy, this is a women time. I bless up all my empresses. How tough is it being a warrior? Nothing in life is easy as far as I remember. But Jah made me to who I am. Jah made me a warrior empress. I give thanks that I have the Most High God to lean on to for more strength. I have a song on my album called Hard Work. We are free to work hard. Nothing just comes out of nowhere. You have to work, you have to move. Let’s talk about that song, Hard Work. From what kind of personal experience did the idea for the song originate? You have a lot of things to do on a daily basis. I have a lot of things to do, like lots of women. Like I have my music, I have to write, I have to come to the studio and in the meantime I do have a 9 to 5, too. I have a family. I do have a house to run. It’s all hard work, every woman knows. It doesn’t matter what you are doing. Even if you are a woman staying at home making sure that your house is ok, that is a hard job, too! The song Hard Work came through a lot of experiences in my life, all together. But it’s not only me. You look around and you see a lot of people working hard. You have to give respect to everybody. On the flip side, a lot of the young youth of today, they don’t think they have to work hard. They think things come quick. But that’s not the truth. Don’t be fooled by what you see by the glistening light or what you see on TV. Nothing in life comes easy. Everything needs hard work. Don’t be fooled. The topic of encouraging and empowering the females around the world seems to be a main concern in your songs, especially in Warrior Empress? I think its mankind in general. There is a lot to think about, unfortunately, there is so much going wrong and women are downpressed and are not being elevated. I want my songs to be inspiring, empowering and I try to encourage one another. That’s what I am here to do. How is life in such a big Western metropolis as London as a Reggae singer and Rastafarian believer? I think, as a Rastafarian it doesn’t matter where you are in the world, because you kind of live in the world, but you are not part of the world. No matter where you are as Rastafarian. Living here is fine, but if I had the opportunity to move to Jamaica maybe I would to that. I dream about living in Jamaica. Maybe that dream will become reality someday. Is a vinyl release of your album planned? We have been discussing it. We may just do some of the dub songs on vinyl, but we haven’t decided yet. The majority of the soundsystems do have all of the songs already. Like Jah Shaka, Aba Shanti, Iration Steppas, Young Warrior and many others they have the dub songs and the versions. We’ll just see how it goes and then we decide which songs we put out on vinyl. Will there be an album release party? We will have a release party on the 24th of June at Passing Clouds in London. It’s gonna be Macka B and myself. So make sure everybody comes down to the show.